What are your plans for Halloween? Are you dressing up in our Rose Tyler cosplay and heading out? Or getting some friends round to watch some of the scariest Who stories? We think there’s nothing better than spooking yourself silly with a good book, by yourself or with friends! So when we were sent Doctor Who: Tales of Terror we set up our own mini Wholloween party. With twelve short stories – one for each Doctor, you have a whole host of chilling tales to choose from. So light those candles, turn off the lights and get stuck in. When reading aloud with your friends (or cats) at your Wholloween party, impressions of each Doctor are absolutely essential. Kinda. We don’t want to ruin the monster surprises but expect some your favourites: Carrionites, Daleks and… no we’ll stop, shhh. Reading these monsters written into new worlds, being discovered by Doctors they haven’t met or meeting one-story only companions is so thrilling. There’s something about reading Doctor Who fiction that’s pretty magical – you can see the episode it would be in your head, know exactly what shots would look like and feel the pacing of the episode. Your imagination is the director and it can take the words on paper to whole spin-off series! We particularly loved re-visiting The Family of Blood with the tenth Doctor, and the illustration wins the prize for both the most stunning and unnerving. The illustrator of these wonderful stories is Rohan D Eason. To me, his drawing feels very reminiscent of dark fairy tale illustrations – ever read a Brothers Grimm fairy tale and the imagery was stuck in your mind for years after? 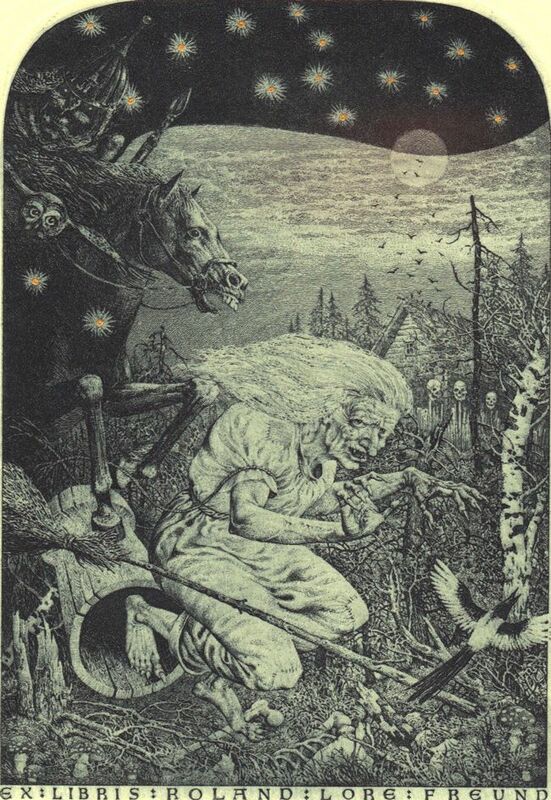 I’m still terrified of Baba Yaga and her house with chicken’s legs (Russian fairy tales are next level). Read Rohan’s interview with Doctor Who Comic Art here to learn more about his work as an illustrator, his process and what inspires him! If the scary stories are the trick… we need the treat! I made some Dalek-esque cakes to incentifise those friends dreading your David Tennant impression… ahem. 1. Pre-heat the oven to 180c/350f/gas mark 4 and place cake cases into tray. 2. Beat together the butter and sugar till light and fluffy, then add in the eggs and flour gradually whilst mixing. Add the ground almonds and almond essence and mix till light and creamy looking (it should smell v. almond-y and yum). 4. Mix together the butter and icing sugar to create a buttercream, then add the black food colouring till your desired Dalek grey! Then spread onto cakes. 5. Squash your gummy sweet onto a candy stick and place the stick in the cake. Then cover half the cake with the blue chocolate sweets in a a Dalek pattern. Place silver balls on top and spray the other half of the cake with the edible silver spray. This was an altered recipe from the official Doctor Who Cook Book since I couldn’t find half the ingredients/mini cup cases, boo. Get your own copy of Doctor Who: Tales of Terror here and let us know what you’re doing for Wholloween – we’d love to see any Rose Tyler cosplays or Dalek-inspired cakes! Those illustrations really are gorgeous.